During Basil’s recent trip to the UK as well as visiting the factories of our main brands Linn, Naim and Rega we dropped by a small market town Barnard Castle in a beautiful part of the UK. 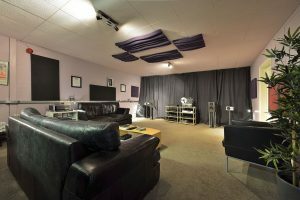 Barnard Castle is home to Neat Acoustics, which in turn as well as housing the R&D and manufacturing of the company is the site of a fully fledged recording studio and mastering suite. Please call 408 647 5407 to arrange an audition of Neat products. For more information, please visit the Neat Acoustics website.